The airports that will implement the new travel norm beginning today include Pune, Goa, Nagpur and Trichy (Tiruchirappalli), the airports guarding security force said. New Delhi: Four airports, including the ones in Pune and Goa, have done away with the practise of stamping and tagging of passengers' hand baggages from today, the CISF said. With this decision, a total of 23 airports in the country -- out of the total 59 under the CISF security cover -- are now tag-free. 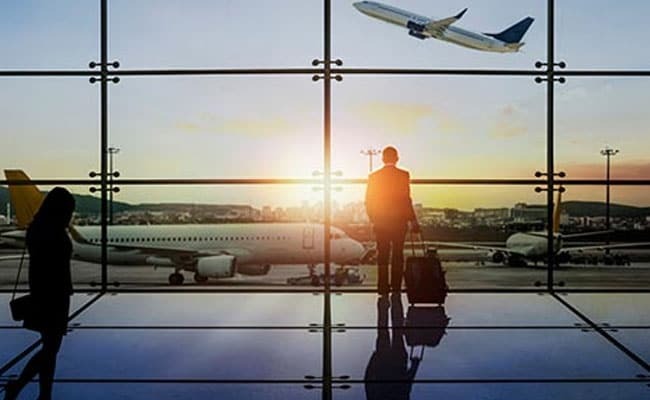 It added that the new travel regime for air passengers, that began at the airports in April this year, will soon be implemented at 27 more airports. Central Industrial Security Force (CISF) spokesperson Assistant Inspector General Hemendra Singh said the four airports have made all the required security arrangements to roll out the new protocol with the deployment of smart cameras and re-positioning of security paraphernalia, as mandated by the Bureau of Civil Aviation Security (BCAS). He said the BCAS had also asked these airport operators to increase the length of the output roller of the X-ray machine so that the hand bags are checked easily. The old stamping of hand baggage procedure was a major irritant for passengers and they had made many complaints in this regard to airport authorities saying the system poses hassles for them as it consumes time and in case they forget to get it tagged, security personnel would ask them to go back and get it done. By having the stamped tags on the hand baggage, the security personnel were assured that no weapon or ammunition like material enters the aircraft. It also pin points the accountability on the CISF personnel who clears the baggage. All these procedures have now been replaced by smart gadgets. A committee comprising officials of the CISF, the BCAS and the airport operators was constituted early this year by the government to smoothen the roll-out of this new protocol at all the 59 airports guarded by the paramilitary force. CISF chief O P Singh, while rolling out the measure in April, had said that the new measure will enhance "passenger experience and provide hassle-free security environment to them" while travelling through the airports.